Farrar, Straus and Giroux, 9780374266653, 208pp. An autobiographical novel about growing up gay in a working-class town in Picardy. “Every morning in the bathroom I would repeat the same phrase to myself over and over again . . . Today I’m really gonna be a tough guy.” Growing up in a poor village in northern France, all Eddy Bellegueule wanted was to be a man in the eyes of his family and neighbors. But from childhood, he was different—“girlish,” intellectually precocious, and attracted to other men. Already translated into twenty languages, The End of Eddy captures the violence and desperation of life in a French factory town. It is also a sensitive, universal portrait of boyhood and sexual awakening. 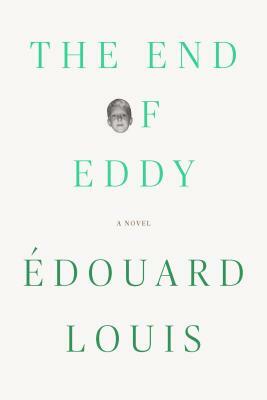 Like Karl Ove Knausgaard or Edmund White, Édouard Louis writes from his own undisguised experience, but he writes with an openness and a compassionate intelligence that are all his own. The result—a critical and popular triumph—has made him the most celebrated French writer of his generation. Born Eddy Bellegueule in Hallencourt, France, in 1992, Édouard Louis is a novelist and the editor of a scholarly work on the social scientist Pierre Bourdieu. He is the coauthor, with the philosopher Geoffroy de Lagasnerie, of “Manifesto for an Intellectual and Political Counteroffensive,” published in English by the Los Angeles Review of Books.